We can handle even the most difficult of electrical problems! All of our electricians service New Orleans and the surrounding areas. We except all major credit cards and cash, Call us for a free no obligation estimate today! For over three generations, Aelectric strives to ensure quality work at competitive prices. We're a 24 hour service provider that responds to all electrical calls. Our team consists of highly trained electricians who are equipped with the best equipment to handle any type of job. Aelectric is licensed and fully insured in the state of Louisiana. Louis Odenwald Electric LLC has been the leading electrician in the River Ridge LA area since founded. 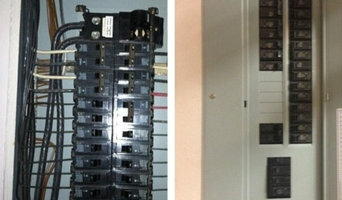 As a licensed, insured and bonded electrician, we can handle your electrical needs. Whether it is a replacement of an outlet, installation of new wiring, indoor and outdoor lighting, new electric service, electric panel upgrades, and appliance installations, we are still the ones to call! 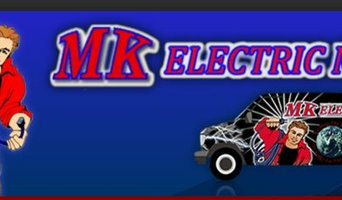 MK Electric Man has been providing superior electrical services to New Orleans and surrounding areas since 2000. Our team of New Orleans electrical contractors are highly trained and experienced with troubleshooting the true cause of complex issues and repair them quickly and efficiently so you aren't inconvenienced for longer than necessary. MK Electric Man is a full service electrician that offers a wide range of services to help you install, repair and maintain all of the electrical components in your home. 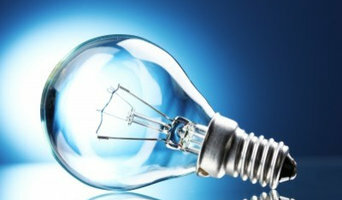 We offer the best electrical services in New Orleans. Please contact us for all of your electrical needs! Duthu Electric is a trusted local electrician in New Orleans you can count on. With over 30 years of experience, our experts have been providing electrical services for residential, commercial, 24/7 service and standby whole home generator installations. Our team of professional electrical contractors in New Orleans can ensure your home or place of business is safe and reliable. We are a Louisiana State licensed electrician New Orleans and fully insured. Let us be your first choice for an electrician New Orleans are can trust because we can handle any sized project or repair service. 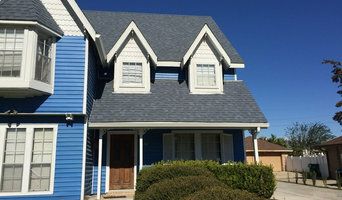 We specialize in new construction, renovations, remodels, build out additions and more. Electrical contractors New Orleans LA, we provide new construction complete wiring, renovation rewiring, remodel repairs, generator installation and repair services 24/7, if necessary. Let us ensure that your home’s electrical system is up to date with the latest electrical codes and safe for your family. Our commercial servics include building buildouts, new construction, rewiring, install addition service and more. Don’t be caught without power during a storm. Get a whole home standby generator installed. Looking for a 24 hour electrician or emergency electrician New Orleans? Give us a call! Trust us to get the job done right the first time with your local residential electrician New Orleans. Servicing the Greater New Orleans area and surrounding River Parishes. We are your go-to for an electrician Kenner and electrician Metairie as well among the best electrical companies in New Orleans. Farthing Electric LLC prides itself on being the go-to choice for clients looking for Residential Electrician, Commercial Electrician and Electrician services. We are fully insured and licensed with the State of Louisiana and throughout Metro New Orleans, including the surrounding areas. We are a member of the IAEI (International Association of Electrical Inspectors). This year, we decided to add Internet-based service, allowing you easier access to information about our services. We'll give you a true estimate based on use of quality materials and realistic time frames, and we won't cut corners. Our friendly, reliable and qualified staff have been employed with us for several years. We can ensure peace of mine with high quality work that only Ducote Electric, Inc. can provide today. Electricians in New Orleans, LA can handle all sorts of jobs, from small to big, when it comes to domestic electrical work. If your home project is a large one, you’ll probably want to involve local electricians in the early stages and they can plan, alongside the architect and builder, how the wiring will be set up throughout your house. Single room renovation, or just updating elements of one room, will require less electrical work but hiring qualified, local electricians is still advisable. Electrical contractors will be able to install lighting, fix electrical sockets in place, set up large electrical appliances and wire up systems such as surround sound stereos. Talk to a professional electrician in New Orleans, LA about any special electrical projects you have in mind, such as some innovative outdoor lighting or some up-lighting in your hallway, to see if they can bring your idea to life. If a power cut leaves you in the dark, a fuse has blown or your plug sockets stop working, then you can find emergency local New Orleans, LA electricians with Houzz that can help you. You can find a qualified New Orleans, LA electrician fast for electrical repairs by checking our list of electrical contractors and professionals. Search for your area or postcode to see electricians near you. 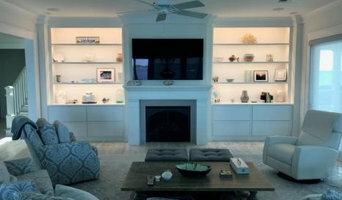 Find electrical contractors or local electricians on Houzz. Narrow your search in the Professionals section of the website to New Orleans, LA electricians. If you’re planning a large-scale project, find other professionals on Houzz who can help get the job done. Here are some related professionals and vendors to complement the work of electricians: Lighting, Main Contractors, Solar Energy Installation, Heating & Air Conditioning.